Kent Locations used: Hythe Seabrook, Folkestone, Dover, St Margarets at Cliffe, Deal, Reinden Woods, Pedlinge, Elham, Chillenden , Canterbury, Densole, Great Chart, Ashford, Sittingbourne. Coast v Country is a brand new property format for Channel 4, which showcases the most striking properties for sale in some of Kent’s most beautiful coast & countryside locations. 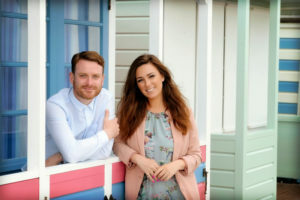 The series is presented by property experts Sara Damergi, Kerr Drummond and property developers Kirsty Duffy and David Bull. The new series of Coast v Country starts on Monday 30th October at 4pm on Channel 4. Episodes which feature Kent are due to air on 2nd, 22nd and 24th November 2017. This entry was posted in Filmed in Kent and tagged Channel 4, Coast v Country, kent. Bookmark the permalink.